Before he fled Burlington for Portland, Ore., Tommy Alexander was at the heart of an underground artistic movement in the Queen City: He was the founder of the local label and collective Jenke Records — sometimes also called Jenke Arts. Alexander became a champion for a rather motley crew of artists in Burlington, a pied piper who inspired a network of musicians and songwriters to follow his lead. Though the members of the Jenke family didn't always share stylistic traits, they did share a sort of wayward heart and soul. Before he found music, Alexander was a college baseball player. So Jenke could be seen as something akin to the Bad New Bears of the local scene: scruffy underdogs. As a songwriter, both solo and as part of the band Quiet Lion, Alexander embodied all things Jenke. The sonic and thematic looseness of his music was undeniably charming. But it could also be frustrating, like a brilliant but slackerly teenager who stubbornly refuses to take full advantage of his or her true potential. Though often compelling, at times his records were simply too lackadaisical and disheveled. On Old News, his first full-length since moving west and the first for his new imprint, Su Casa Records, Alexander has finally grown up. The album still has that endearing, unkempt charm. But it's presented with a polish and maturity that suggests Alexander has learned a lot about life, and music, since landing in Portland. Some credit for that newfound veneer belongs to the album's producer, Mike Coykendall, whose credits include the likes of M. Ward, Bright Eyes and Blitzen Trapper. Fans of those acts will find some welcome sonic similarities in Alexander's latest. His voice has always resembled Conor Oberst's fractured warble. Now that emo yelp is couched in lean production that recalls Bright Eyes' I'm Wide Awake, It's Morning. And he's a more mature songwriter now. Where once Alexander might have let lazy rhyme schemes through, this writing is sharp and focused. Where he previously might have been satisfied with predictable melodies, he's become more adventurous and bold. "Gonna Be a While" is a searing cut that digs at the anger in heartbreak. "I'll Be Better" is a loping country tune in which Alexander assures an ex he'll be better off alone, though he sounds like he might be trying to convince himself. "Away, It Goes Away" is a poignant rumination on impermanence. "Travelin'" is a pretty, sincere acoustic number that ranks as one of Alexander's sweetest. The title cut swaggers with twangy, ramshackle energy that colors the whole record. Through it all, we catch glimpses of the wide-eyed slacker who cut his teeth in BTV. But instead of defining him, those qualities are, on Old News, more of an accent that augments his newly refined songcraft. This is easily the strongest, best-sounding record of Alexander's career to date. 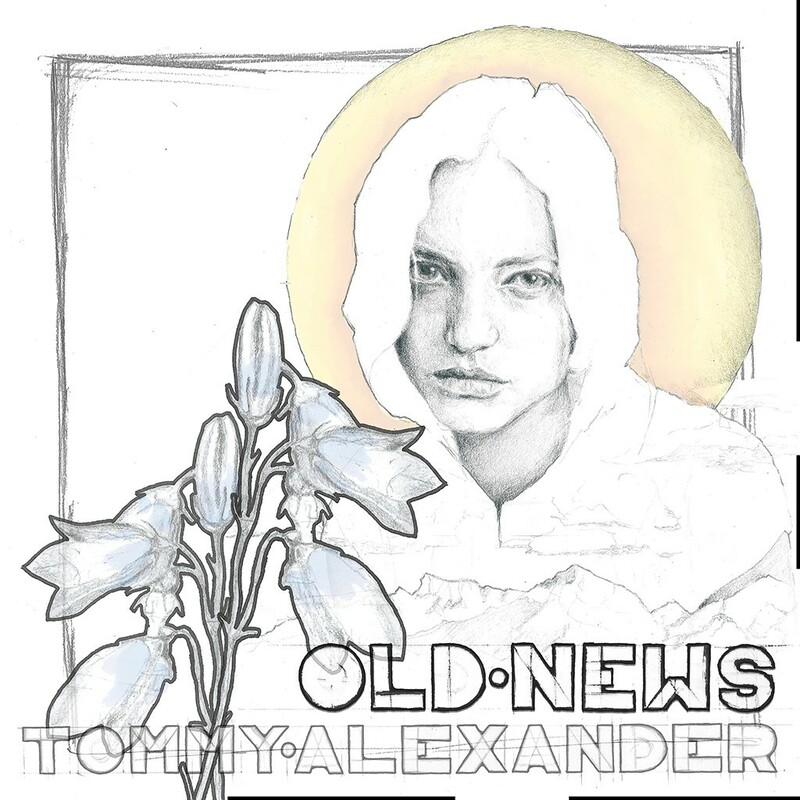 Old News by Tommy Alexander is available at tommyalexander.bandcamp.com.